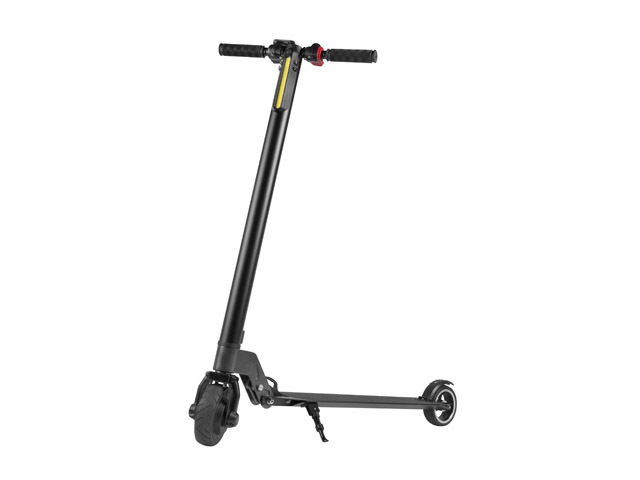 Durable, tilting construction, relatively low weight, high performance and wide control options are the main features of the Ugo H5500 electric scooter. The scooter is a great solution for fast travel on crowded streets of a busy city, getting to work or school, without standing in traffic jams and waiting for a tram or bus. UGO H5500 successfully replaces the bike and efficiently transporting the user to every part of the city. The UGO scooter drive is powered by a powerful 250 W electric motor that delivers maximum speeds of up to 25 km/h depending on the weight of the user. The engine is powered by a quality and efficient LG battery with a capacity of 4400 mAH and 24 volts, thanks to this vehicle offers working range up to 15 km on fully charged battery which depending on the terrain and the weight of the user. Using an electric scooter, you can conveniently travel through the city - such as school or work and back. Controlling the scooter is very intuitive. It takes a few minutes to learn the basics of operation and use of all functions and modes. Everything you need to control the scooter (except balance control) is at hand. 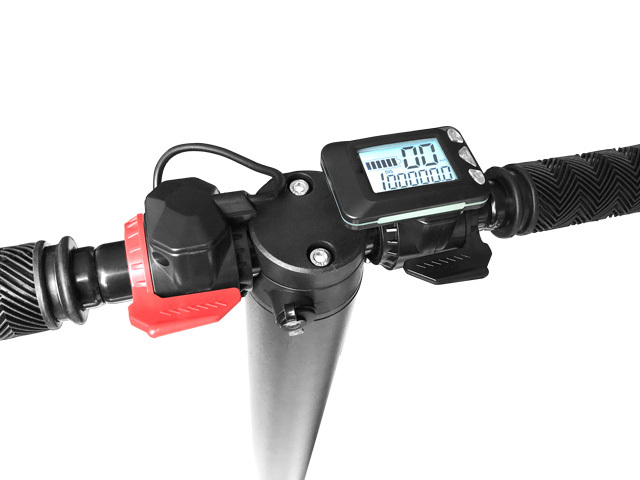 The engine is controlled by levers located on the steering wheel and buttons on the LCD display, with the ON/OFF button, the speed-change button, as well as information on how fast we drive, the distance traveled and the battery status. When traveling, no matter how fast, the safety and comfort of use are very important. 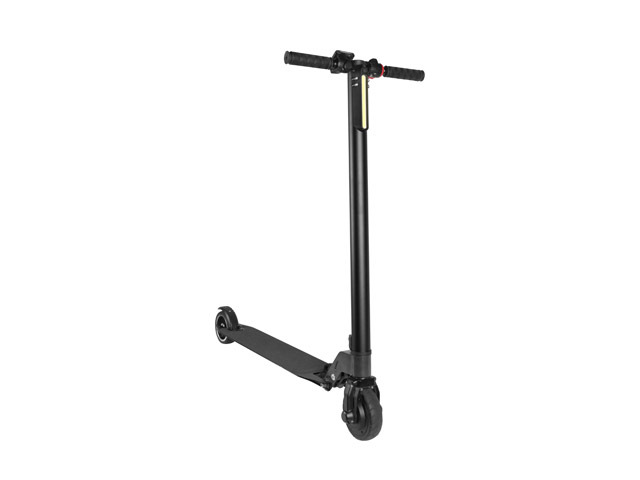 The UGO Scooter features a particularly durable metal and tipping structure with a carrying capacity of up to 120 kg. The area on which the user stands is covered with a special anti-skid layer, which prevents the legs from moving even in the case of water scuffing. In the event of emergency braking, the user can also use the rear-wheel mechanical brake, which is more effective than the brake lever. Driving after dark? 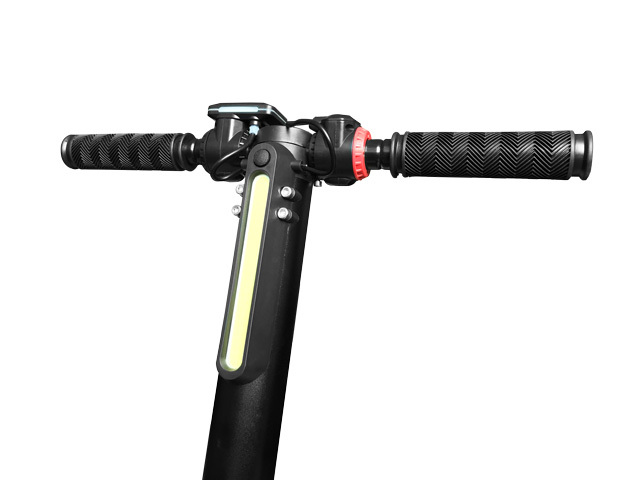 Thanks to the large LED lamp on the front, even the evening ride will be safe. 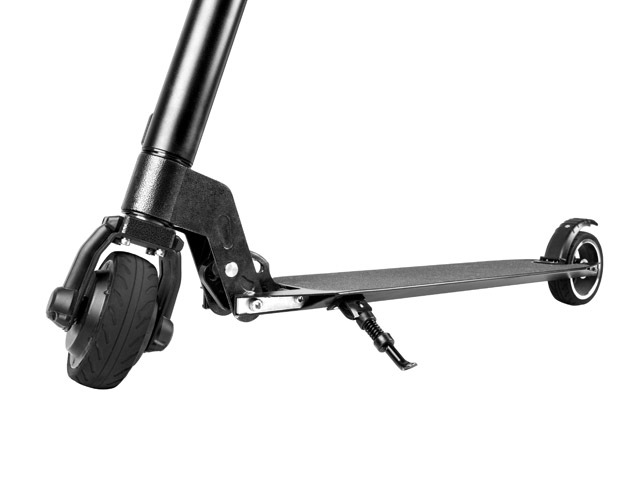 The scooter is equipped with high-quality 5,5” wheels with full-rubber tires, thanks to which the more demanding routes will be comfortable and safe, without the risk of pierce the tire. 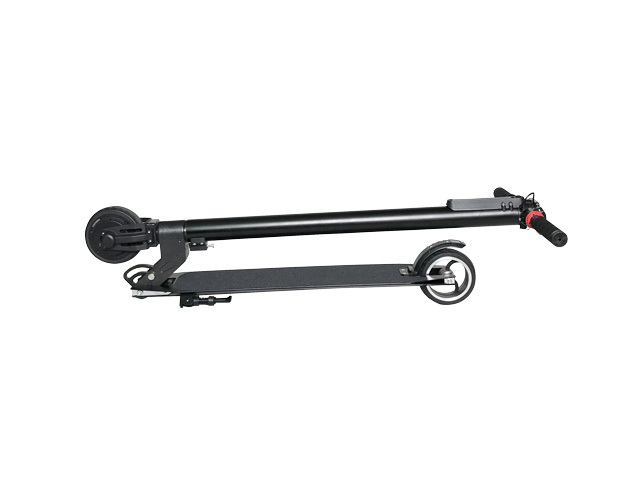 The relatively low weight of the 7,25 kg scooter and its tilting construction makes it easy to carry and does not occupy a lot of space in the office, car trunk or in the apartment.